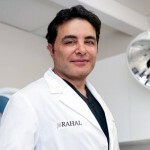 You are here: Home / Hair Loss Blog / Ask Dr. Rahal / Thinking of Stopping Propecia and Still Considering a Hair Transplant? I am doing research into hair transplants. I am 36 and am thinning around my crown. I am considering stopping Propecia, as I am worried about the side effects. Should I even be considering having a hair transplant if I stop taking Propecia? 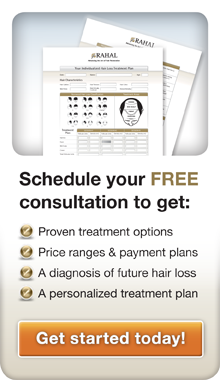 Most Doctors Recommend Stopping Propecia if You Experience Adverse Side Effects. Yes there are sexual side effects with Propecia, as it affects your testosterone, but most people taking it do not have severe enough side effects to stop Propecia use. In comparison, the benefits of Propecia far outweigh the side effects, especially in younger patients who see the most benefit from the drug. However, most doctors will recommend stopping Propecia if you do experience any of the adverse side effects and to consider alternative medications such as Rogaine. How Propecia works is that it maintains the hair that you currently have and possibly reverses hair follicles that have been miniaturized in some cases. However, if you stop taking propecia, all of the benefits will reverse. 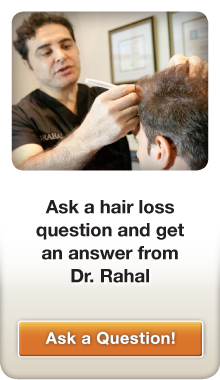 Stopping Propecia can also increase the number of hair transplants needed over your lifetime. 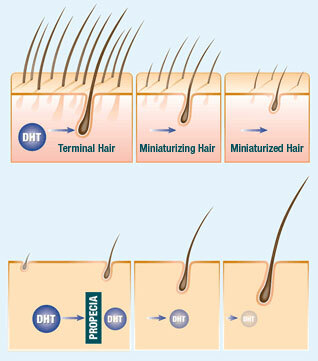 DHT can cause hair follicles to shrink until there are fewer visible hairs left on the scalp. Propecia blocks the formation of DHT. If you do decide to take Propecia and have a hair transplant, Propecia use could decrease the number of hair transplant procedures that you may need over your lifetime. Because Propecia maintains the hair that you currently have, you won’t lose that hair as fast. For best results, many hair transplant surgeons recommend pairing Propecia with Rogaine. The treatment results seen from using both medications together are much better than using either of the treatments separately. Your hair transplant surgeon may even recommend low light laser therapy if you have a large amount of miniaturization of follicles. The use of all three can markedly slow down any additional loss of the hair you currently have. Should I take Avodart or Propecia?